The purchase receipt sent after purchasing Design Palette Pro includes the license key and a quick link to download the plugin. Keep in mind; this link expires after 30 days. The WordPress plugin installer only accepts .zip files. It's important to check the download on your computer to make sure the file is a .zip file and not a folder. Some browser configurations automatically unzip files after download, and it's a quick adjustment of the browser's settings to stop the file from unzipping. You may need to contact the support team for that browser for information on how to disable automatic unzipping of files. 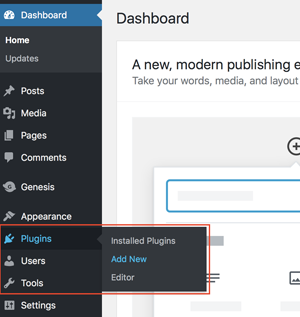 To install Design Palette Pro, you need to install the plugin into the wp -content/plugins directory. Thankfully, WordPress makes this easy to do with a few simple clicks! Select Choose file → and upload the Design Palette Pro zip file from your computer.